Chase is definitely one of the best ranking banks in America, so you are making the right choice banking with Chase! Explore the benefits of opening a Chase Savings account today! Opening a new Chase SavingsSM Account offers you a chance to earn a Chase $150 Savings Bonus by applying online OR in-branch with your online coupon! 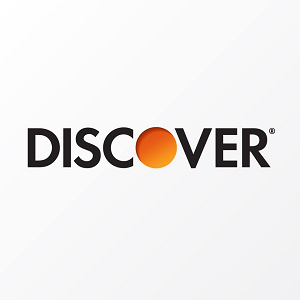 With over 16,000 Chase ATMs and nearly 5,000 branches, convenience is on your side! Earn a Chase Savings Bonus today! Below is all the information and details you need to earn your Chase $150 Savings Bonus! To earn your Chase $150 Savings Bonus, simply open a new Chase SavingsSM Account in-branch or online. Early Termination Fees: If your savings account is closed within six months after opening, the bonus amount you received for that account will be deducted at closing. 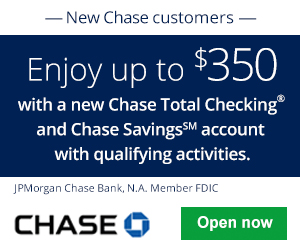 Chase SavingsSM: If you are eligible for this bonus offer, visit your nearest branch with your coupon or go online to open a new Chase Savings account and earn your Chase $150 Savings Bonus! If you are interested in more Chase Bank Deals, Bonuses, and Promotions, see our compiled list of Chase Promotions. Mobile check deposit. It’s as easy as taking a selfie. Banker guidance. Not sure how to reach your savings goals? Chase will help you. Text banking. Account updates as fast as your thumbs. Real-time Fraud Monitoring. Chase will watch your debit card to help your money stay your money. Chase QuickPay® with Zelle®. Take the drama out of splitting a check. Paperless statements. Make your mailbox — and the earth — a better place. This Chase SavingsSM Bonus is an easy bonus to obtain. Bonuses are considered interest and will be reported on IRS Form 1099-INT. If your savings account is closed within six months after opening, the bonus amount you received for that account will be deducted at closing. Be sure to check back on BankDealGuy for more bank deals! If you’re interested in what more Chase has to offer, see our list of Chase Coupons!